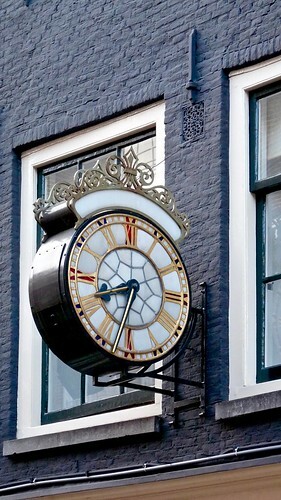 This abandoned clock can be found in the famous Spiegelkwartier in Amsterdam. This area has been the heart of the national art and antiques trade for the past eighty years and has a friendly relaxed atmosphere. There are few places in the world where you will find such a stunning choice of art and antiques. Over seventy specialised art and antique dealers offer a wide variety of objects, ranging from archeological finds to 17th century furniture, glass and Dutch Delftware, from oriental art to Art Nouveau, from tribal art to contemporary art, from old medical instruments and clocks to jewellery and, last but not least, icons, paintings and old master prints. (Source: Spiegelkwartier.nl).